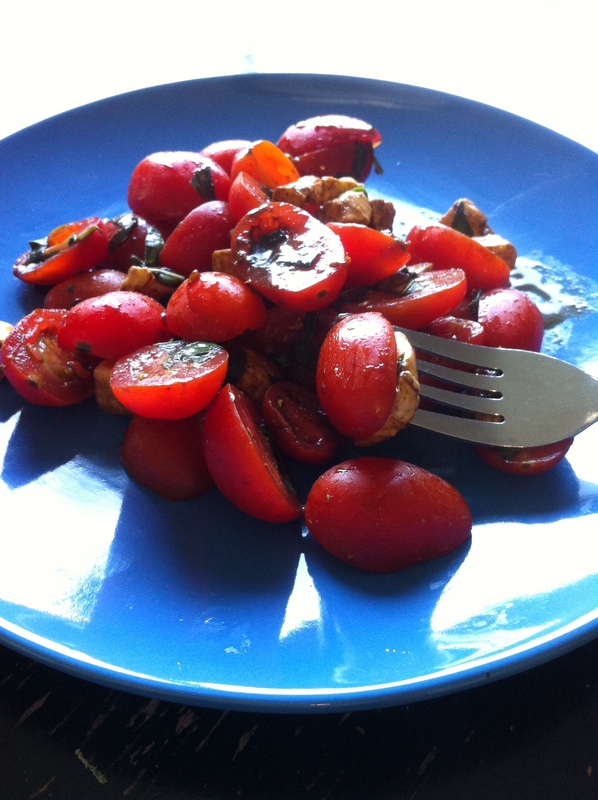 A few weeks ago I made a caprese salad that was incredibly delicious and super simple. In fact, it’s so simple, I almost feel bad calling this a recipe. 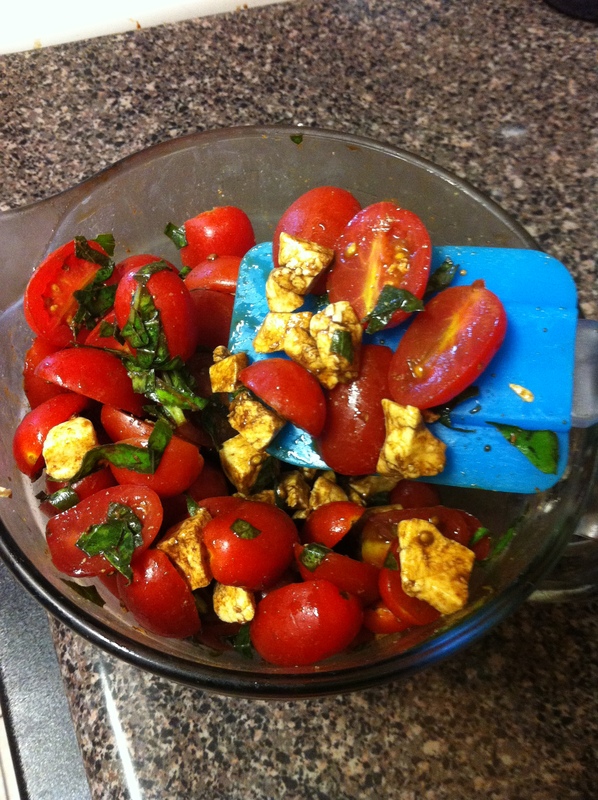 All you need are 4 ingredients, tomatoes, mozzarella, fresh basil, and balsamic vinegar. 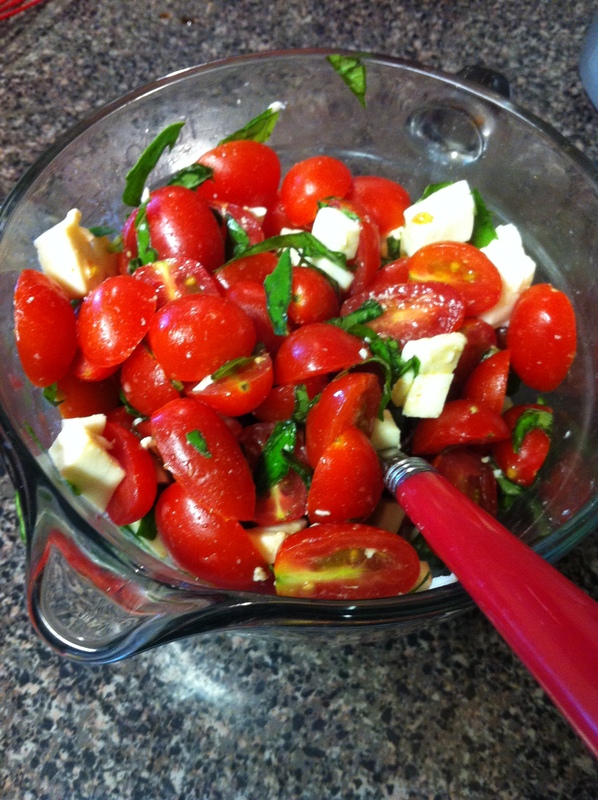 I reduced the vinegar to bring out a sweeter, more complex, tangy flavor that paired excellently with the juicy tomatoes, rich mozzarella, and fresh basil. This salad works great as a side for BBQs. 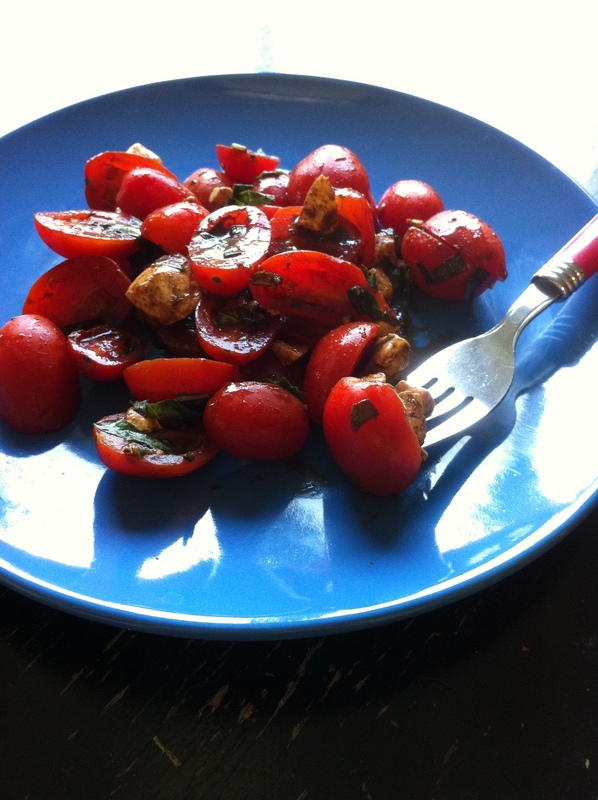 I used grape tomatoes so I cut them in half, basically chop up whatever tomatoes your using into bite sized chunks. Do these same for your cheese. For the basil I roll the leaves into a cylinder and then cut into strips that end up looking like basil confetti. Then toss those three ingredients together in a bowl. 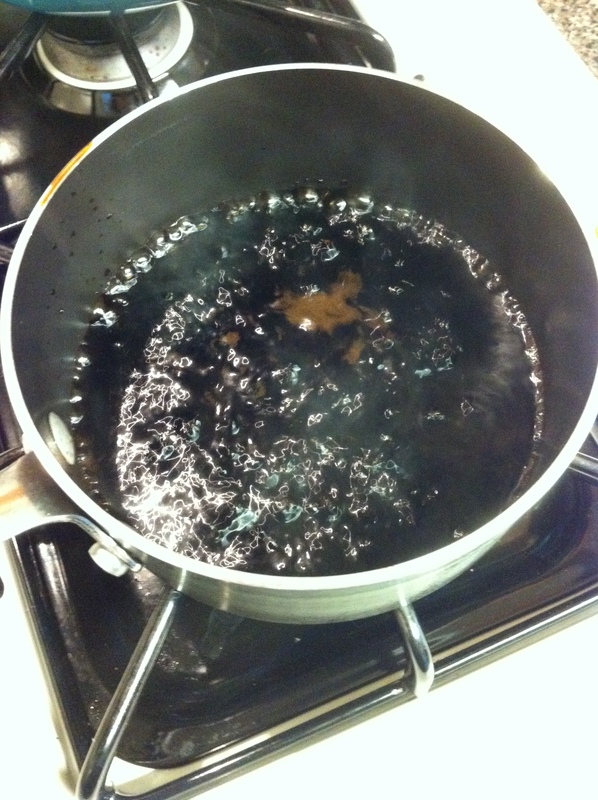 To reduce the balsamic vinegar put it in pain and boil until it’s reduced by about half and has a thicker, more syrup-like consistency. Stir everything together until well combined! Feel free to serve right away or make it ahead of time, refrigerate, and serve cold, it’s delicious either way (I may have made it the night before a picnic and had it for dinner, then ate it cold the next day…).